During 2000-2016 India grew rapidly and created wealth for those who chose to participate in that wealth creation opportunity (as shown in the table below). During 2000-2016 India grew rapidly and created wealth for those who chose to participate in that wealth creation opportunity (as shown in the table below). The opportunity was equally there for someone who could set aside as low as Rs 100 a month to as high an amount as possible. For illustration purpose, SIPs have been taken from Reliance Growth Fund growth plan, and the PPF rate is assumed to be flat at 8.1 per cent. Over 90 per cent of investing Indians chose guaranteed fixed income investments such as fixed deposits, public provident fund or money-back insurance policies, and missed out on one of the greatest wealth-creation opportunities of our generation. The opportunity loss ranged from Rs 1.52 lakh for a person investing Rs 100 per month to Rs 15.2 crore for someone investing Rs 1 lakh month. Both these amounts are equally transformational sums for each set of individuals. More important, these numbers are not debatable. They are plain hard facts. This period saw the dot-com bust, the attack on the Twin towers, a long war, the Asian banking crisis, the sub-prime housing crisis and finally, the Brexit. It saw one term of Atal Bihari Vajpayee, two terms of Manmohan Singh and a partial term of Narendra Modi. The market had seen many ups and downs, but those who stayed invested gained tremendously. The fact that a few savvy domestic investors and many FIIs gained while over 90 per cent of domestic Indians missed out is what we are calling The Great Indian Mutual Fund Tragedy 2000-2016. This article assumes that during 2017-2033, India will continue to grow rapidly. During 2000-2016, India's GDP grew five times, from around $400 billion to $2 trillion. Most predictions are that by 2033, Indian GDP will be over $10 trillion. In other words, it will grow five times again. The wealth-creation opportunity is likely to present itself once again! Will you buy soap if it is sold as 'glycol stearate' that removes a layer of dirt from your epidermis and you have to wait 21 days to try it? While complex and cumbersome procedures have deterred mass adoption, the primary reason for low penetrations has been commission-oriented selling. Commission orientation ensured that the industry inadvertently restricted customer acquisition efforts to the top of the pyramid. A higher ticket size implied higher earnings, and it did not make much financial sense to pursue low-value investors. As a result, the virtues of mutual funds never really reached the masses. A lack of awareness also translated to lack of interest and the lack of willingness to give it a try. How to prevent another tragedy? If there is a consensus that we must avoid a repeat of this tragedy at all costs, we need to work towards four directions simultaneously. If a distributor is paid a flat fee of, say, Rs 250 per new investor, there is suddenly a massive incentive to reach, educate and persuade the masses. That is where the numbers are, and enterprising distributors will see the opportunity. The money to get new investors on board can easily come from the industry's investor awareness kitty, which currently stands at Rs 300-350 crore. No fresh outlays are required in this respect. All that is required is a change in approach -- from 'pay per impression' to 'pay per outcome'. Even if one-third of this money is set aside for this experiment, 2017 alone may witness 40 lakh new investors getting mutual fund-ready. In other words, we need to increase penetration of mutual funds by 30 per cent in one year. a. It encourages distributors to increase their customer base without necessarily focusing only on the rich. b. It helps deliver better advice as distributors will have nothing to gain by promoting one product over another. c. It encourages competition and therefore, promotes skill upgradation and value creation for investors. 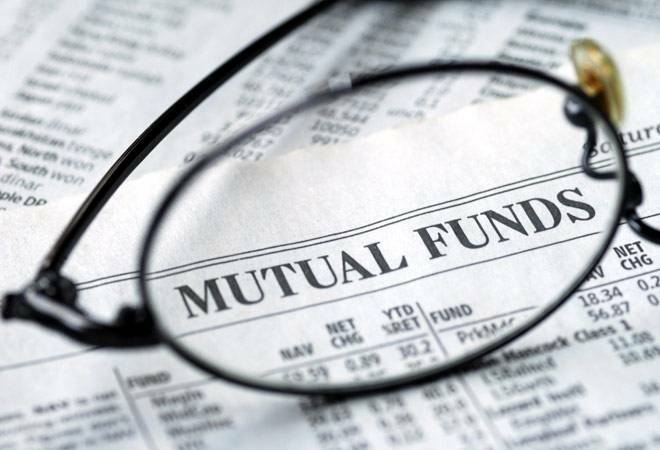 Flat-fee pricing with different slabs will have special merit in the mutual fund industry as irrespective of one's net worth, the underlying product remains the same. What changes is the advisory and service, which should determine how much an investor pays. Some sections believe that fee-based advice can be counter-productive. This is based on the mathematics that for low-value investors, hidden commissions are smaller than upfront fees. The argument gets totally deflated if there is no commission and the fee is zero for a low-value investor. Imaginative innovation can solve some of the world's biggest problems. One doesn't have to look far--just look at the communications industry, the payments industry or the services industry, and you will notice how several things, which were never in the realm of consideration, are now part of everyday life. a) The number of schemes on offer can do with some pruning. A total of 6,000 will seem a bit too much to study for the first-time investor. b) Documentation and paperwork can be simplified. c) One-time mandates should be explored for easy activation for an interested investor. d) Universal KYC should see the light of day. While we believe that we must prevent a repeat of the tragedy mentioned above, we alone cannot be effective in achieving this goal. SEBI, AMFI, RTAs, banks, AMCs and others who believe in it should join hands and work toward a solution. A new wave of growth is around the corner. Once again, some people will use it as a wealth-creation opportunity. If millions participate, it will not only transform the nation but also the mutual funds industry.